User Interface (UI) is one of the most important parts of android application. Not only android application, user interface is important for website of any other application. User interface (UI) is everything what the users see. Android provide lots of UI components for android developers to design graphic user interface (UI) in android application. In android, user interface (UI) can be a text view, buttons, image view, edit text, layouts, list view, calendar view, date picker, dialog box, dropdown menu, action bar/app bar, tabs, navigation drawer, etc. With the help of these all components we can build user interface android application. Building user interface (UI) in android is not much difficult because android provides lots of components to builds good UI android application. If you are new in android application development go through android app development tutorial and I have also collected some best android UI design screenshot like navigation drawer and tabs screenshot. 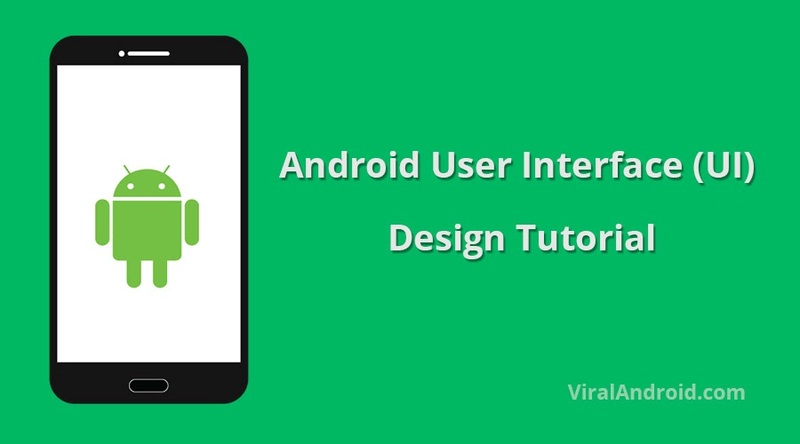 In this tutorial, you will learn to build a user interface (UI) using android components. To build user interface (UI) design, android provides an XML file that allows us to define UI components in XML using hierarchy of UI elements. Following are the android user interface (UI) design components topics to build user interface android application, go through step by step.